Detailed Guide For Building Your GoDaddy WordPress Site. If you want to make your WordPress site, you can easily do that with GoDaddy. This article will give you step By step guide to do that. 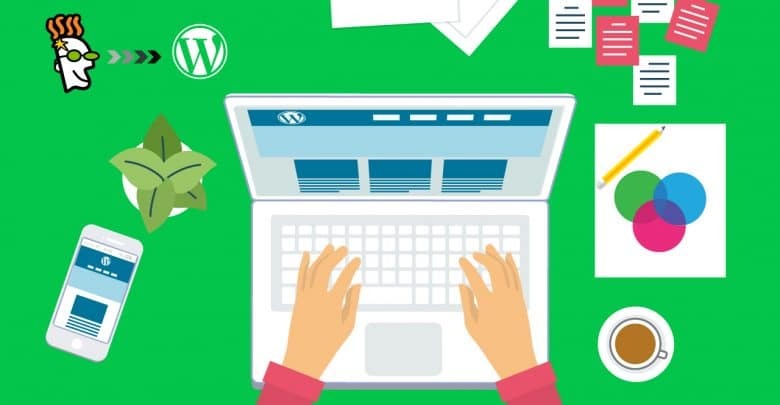 We have mentioned some points on why people prefer WordPress.You can read the article to know about WordPress. The header is basically everything at the top of your website. It includes things like the site’s title, tag line, and the navigation bar. While the header on your home page may be unique, the header on most subpages will typically have the same format and content across the website. The area between the header and the footer on your web page is the body, or content area. The content area can include text, graphics, links, buttons – just about whatever you want so that it will vary from page to page, across your website. Everything at the bottom of your website, in this section, is the footer. The footer includes stuff like contact information, directions, copyright info, and links to social media. The footer typically carries across all the pages on your website, and its format and content remain the same. Edit the header of your WordPress site. If you need to edit the header or footer on your page, you use the Customizer tool. To access and edit components in the header or footer, you can select from the Customizer menu on the left, or click the corresponding blue edit button on the screen. The Customizer tool is also where you’ll go if you want to change any of the global settings on your website -stuff like colors, fonts, and navigation menus to name a few. If you need to edit the content area of a page you have to go to the Customizer, just scroll down and click the blue edit icon in the content area of the page. You can also access it, by clicking Page Builder in the menu at the top of the screen. The Page Builder tool allows you to access and edit the content on your page. Using this tool, you can quickly build out the content on each page without worrying about formatting. Thanks For reading. Hope you have got more clearance on GoDaddy WordPress website. Previously we have written. You can read that article if you need the guide on installing your WordPress site on GoDaddy hosting account. If you have any suggestion or queries, please comment below to our comment box.